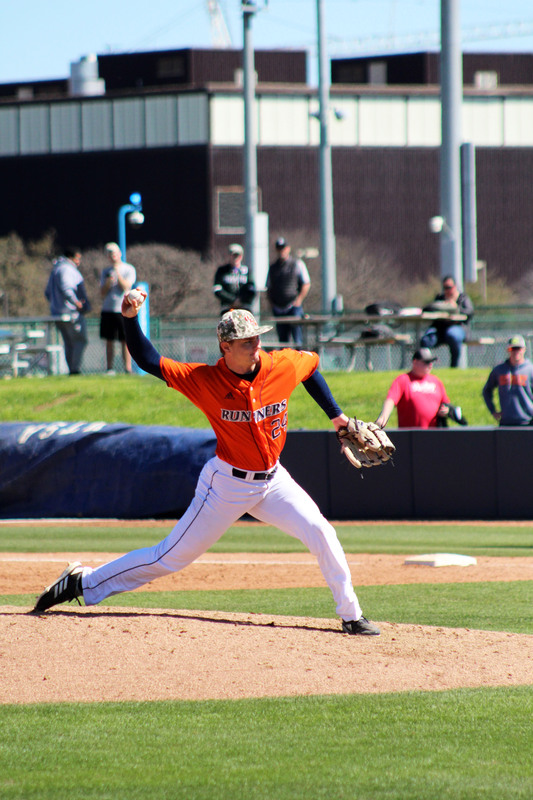 The Roadrunner baseball team hosted Lamar University on Tuesday, April 9, and it would not take long for the ‘Runners to take firm control of the game. The ‘Runner offense came alive with a season-best 13 runs in the first inning. Bryan Sturges opened the scoring with a three-run moonshot over the left field wall. A variety of misplayed balls and walks put the ‘Runners on base. At the end of a long first inning, the ‘Runners sent 17 batters to the plate and carried a 13-1 lead. 13 runs in the first inning matched a school record for most runs scored in one inning and was the highest single-inning total in nearly 10 years. The offense would not rest as Ryan Stacey and Bryan Arias launched back-to-back home runs to extend the lead to 16-1. Catcher Nick Thornquist contributed to the home run streak with a two-run home run. When the dust settled in the sixth inning, the ‘Runners had scored a total of 25 runs, which was good for the second-best total in school history. 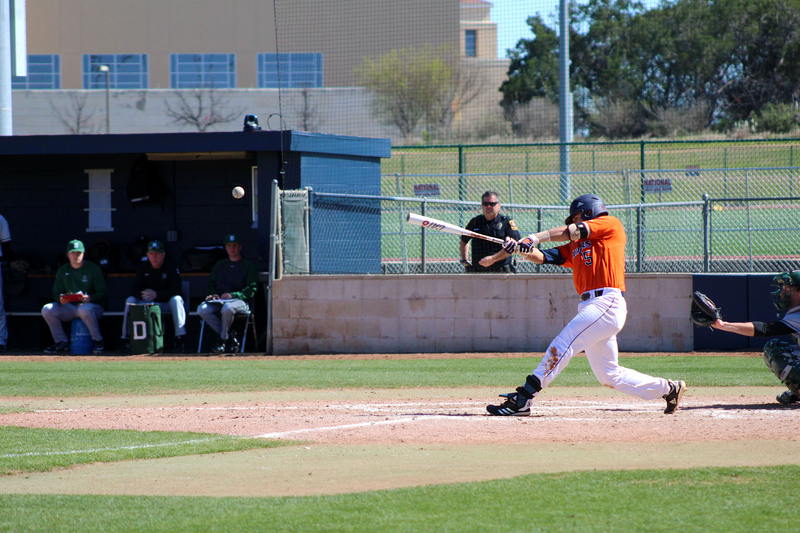 The ‘Runners smashed a season-high of five home runs and marched six pitchers out to the mound which held the Lamar Cardinals to two runs. 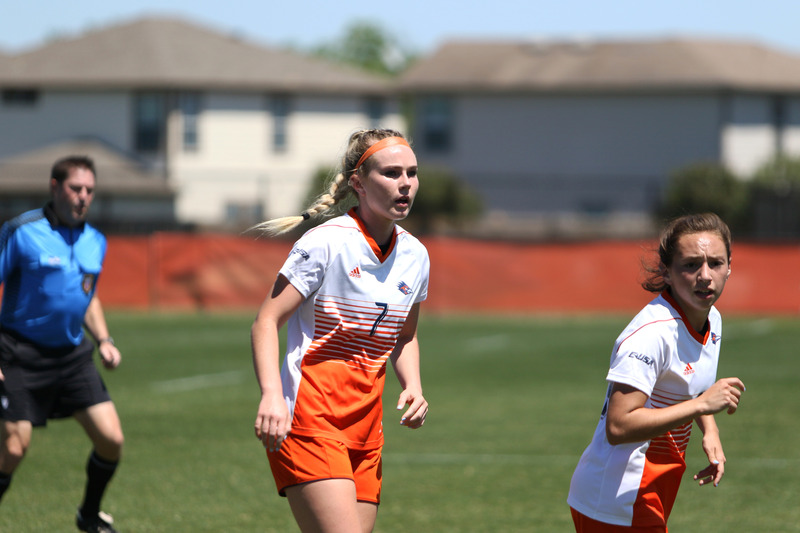 The ‘Runners continued their hot streak in the first of three games at home against Conference USA (C-USA) foe Old Dominion University from April 12 to 14.